Obituary – Balzer, Betty Jean (Ewy) « Perry High School Alumni Association, Inc.
Funeral services for Betty Jean Balzer, age 84, of Perry are scheduled for 2:00 P.M. Friday, December 28, 2007 at the Perry Assembly of God with Rev. John Adams officiating. Interment will be in the Grace Hill Cemetery. 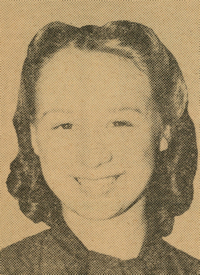 Mrs. Balzer was born on February 6, 1923 to Rudolph and Ann (Smith) Ewy in Perry, OK. She grew up and attended school in Perry, OK, later marrying A.M. Shireman where to this union 5 children were born. He preceded her in death in 1969. She later married Harry Balzer on October 9, 1972 and they were together for 35 years. She was a member of the Perry Elks Lodge Camping Club and previously was a board member of the Perry Senior Citizens Center. 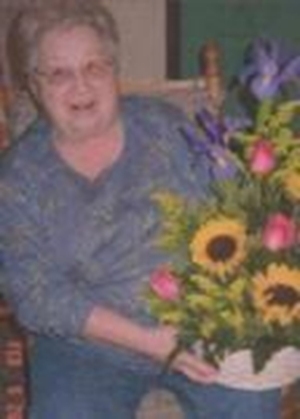 Her hobbies included crafting, quilting, poetry, painting and camping. The highlights of her life were her family. Mrs. Balzer passed from this life to be with her Lord and Savior on December 26, 2007 at the Perry Green Valley Nursing Home. She was preceded in death by her parents, 2 husbands, 3 sisters, 1 great-great-grandchild. Memorial contributions may be made to the Perry Senior Citizens c/o Perry Funeral Home 203 E. Fir, Perry, OK 73077.